Initially meant to get a US$500 MSRP, AMD's Radeon RX Vega 64 GPU had to go through serious supply problems that jacked the retail prices to almost US$800. Fast forward one year later, the card supply is almost too high now, and thanks to AMD's price slashes plus the Cyber Monday deals from Newegg, the RX Vega 64 can be ordered for US$400 along with three free games. AMD launched the RX Vega 56/64 cards back in Q3 2017, hoping to compete with Nvidia’s GTX 1070/1080 GPUs, but things did not go too well for the red team in this respect. First of all, the supply was scarce, then the performance was not exactly on par with Nvidia’s cards, and, the biggest problem, prices were too high to rival with Nvidia’s offer. Crypto miners were also responsible for the initial supply problem, but now that the GPU-based crypto mining operations are mostly out of business, the supply is on the rise, and AMD is forced to slash prices to liquidate it. 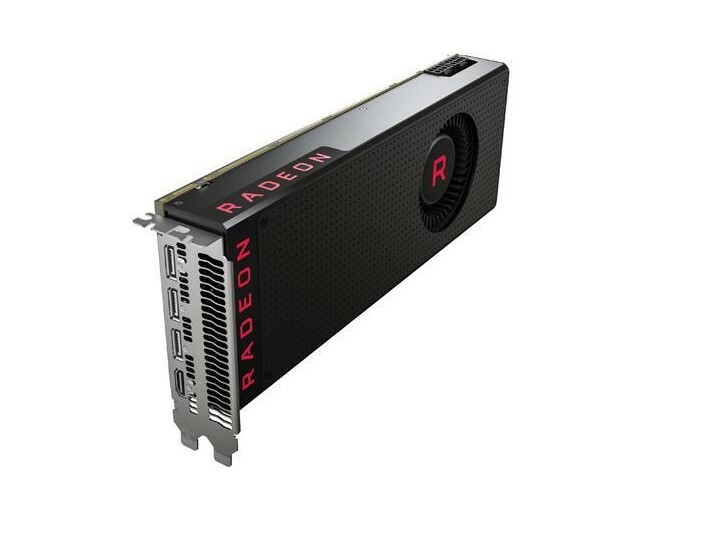 Back when it was first launched, the RX Vega 64 cards were supposed to retail for US$500, but all those problems mentioned earlier inflated the prices close to the US$800 mark. However, now, thanks to AMD price slashes and Cyber Monday bargains, the card can be purchased for only US$400. Newegg is even throwing in games like Devil May Cry 5, Tom Clancy’s The Division 2 and Resident Evil 2 with the Sapphire reference version. This is quite the bargain considering the card is almost as fast as a GTX 1080, sporting 8 GB of HBM2 VRAM and 4096 stream processors, plus DisplayPort 1.4 and HDMI 2 connectors. The only slight problem with it might be the reference cooler that was not designed for proper overclocking.